*13 + 1 high quality corrosion resistant MaxiDur ball bearings, all double-shielded for long-term smooth operation. Stainless steel main shaft makes for a more solid and smoother feel. 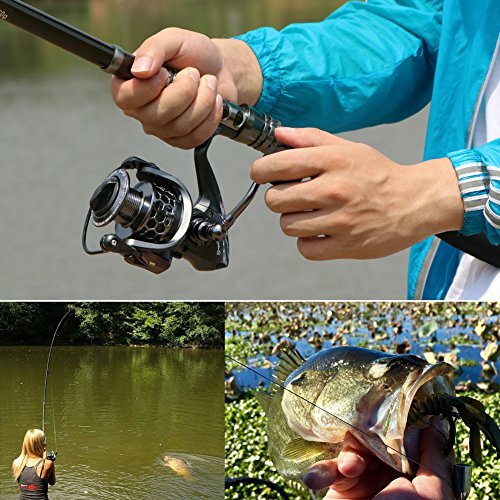 *High-grade wool felt pads, makes fishing reel brake system more stable. 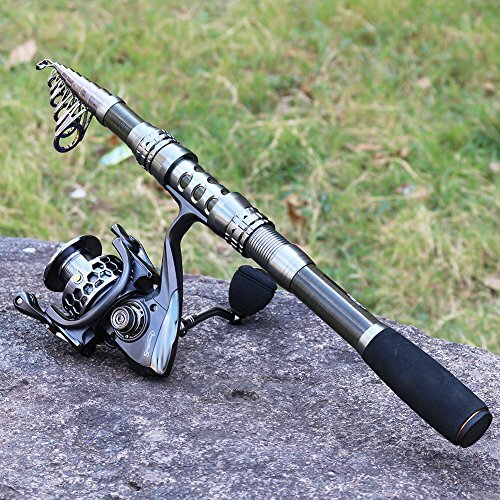 *Flawless light weight graphite spinning reel body with wonderful color is corrosion proof. *Left/right interchangeable aluminum handle gives you strength and light weight. 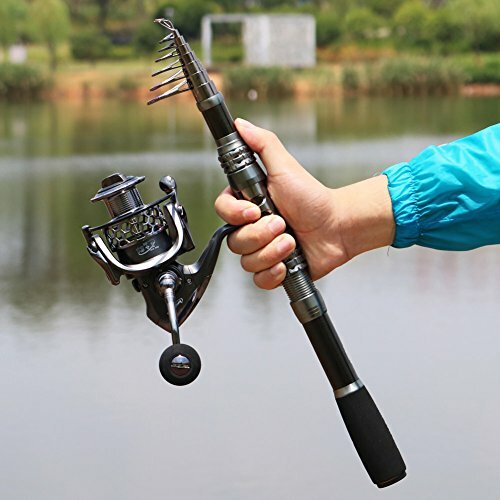 6 Size Kits are Available, Each Kit Includes ONE Fishing Pole and ONE Spinning Reel.You can Use Them for Both Freshwater and Saltwater Fishing. 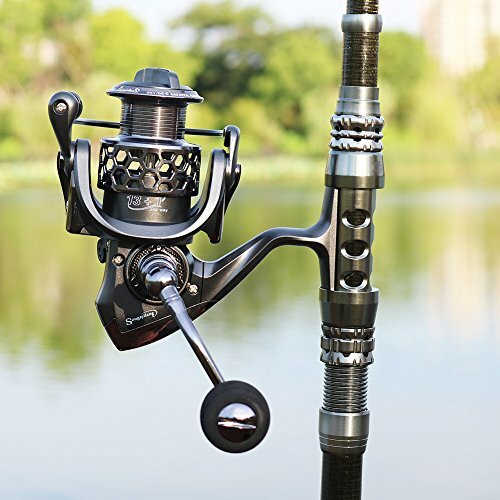 THE ROD:High Density Carbon Fiber Mixed with Fiberglass Make The Fishing Pole Hard & Durable,The Hard and Light Weight Guide Ring Made by SIC Ceramic and The Heat Dissipation is Better. Its Lower Friction Coefficient Making It Durable, And Its International Advanced Epoxy Resin Adhesive Make The Guide Ring More Solid. 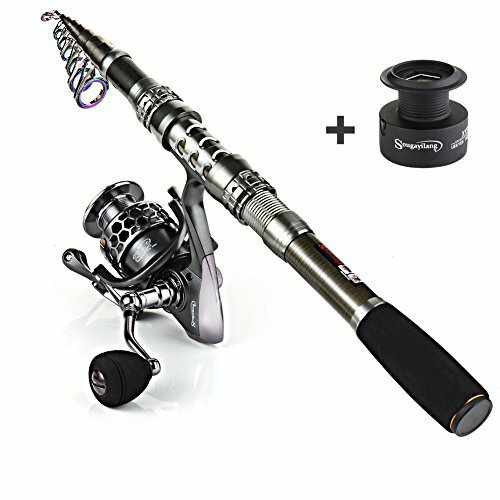 THE REEL:This Reel Has 13 + 1 Corrosion Resistant Smooth Ball Bearings, Precision Matched Gears and a Powerful 5.5:1 Gear Ratio.Give It Ultra-Smooth Performance.Interchangeable Right or Left Hand CNC Machined Aluminum Handle and Comes with an Extra Exquisite Aluminum Spool.Amazing Aerospace-Grade Aluminum Honeycomb Design Spool Gives You Strength and Light Weight. 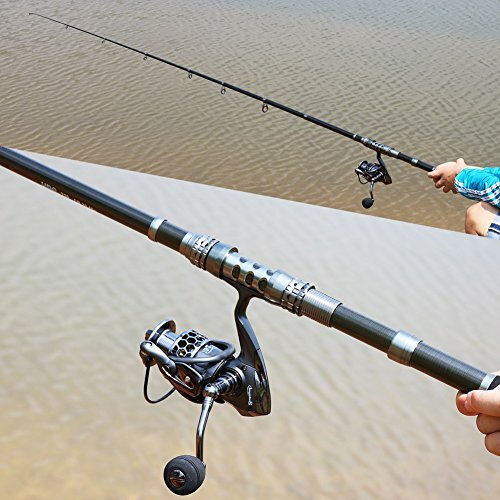 EVA Knob Makes It Non-Slip and More Comfortable When Long Time Fishing. Light Weight and Portable, Easily Fits in Car Trunk, Boat or Backpack. Sougayilang Spinning Rod Reel Combo Allows You to Travel to Your Favorite Fishing Spot and Enjoy Fishing Whenever and Wherever You Want. We Are Proud To Present You The Worry-free 1 Year Warranty!If Any Problem, Please Contact Us Firstly and Our Customer Service will Solve It for You Soon.